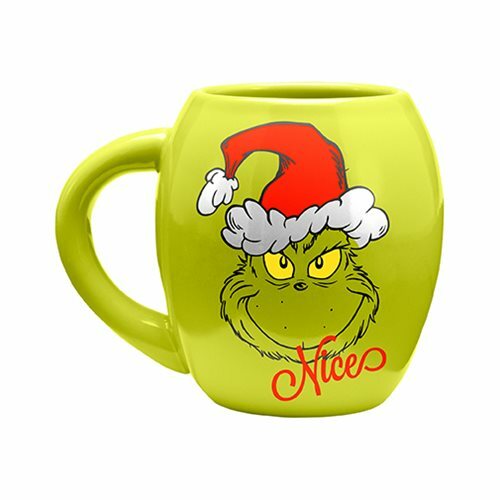 Have the Grinch express your mood while you enjoy a tasty beverage. 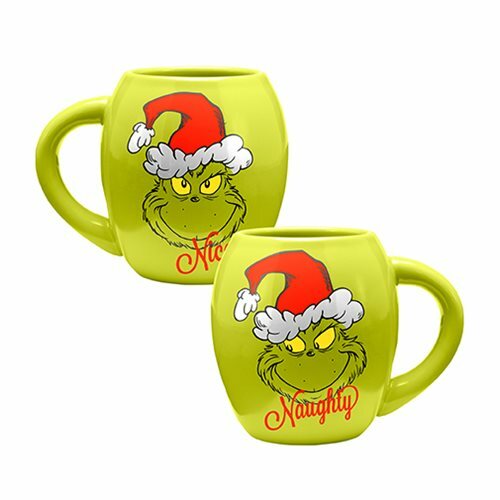 The Dr. Seuss Grinchmas Naughty & Nice 18 oz. 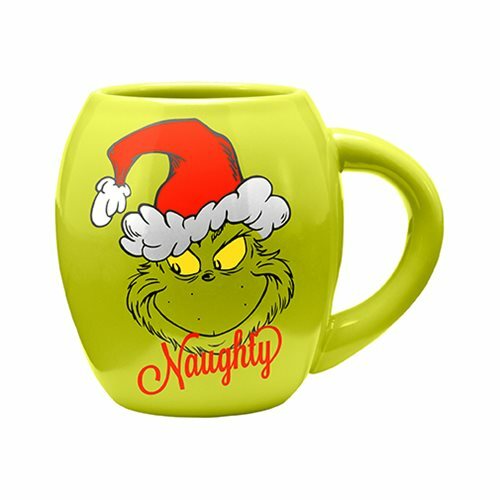 Oval Ceramic Mug 18 oz Oval Ceramic Mug features the word "Naughty" on one side, and "Nice" on the other, with the grinning face of the Grinch looking on. A great gift for fans of How the Grinch Stole Christmas. Made from high-quality stoneware, and is both dishwasher and microwave safe. Measures roughly 4 1/2-inches tall. Comes in a color gift box.